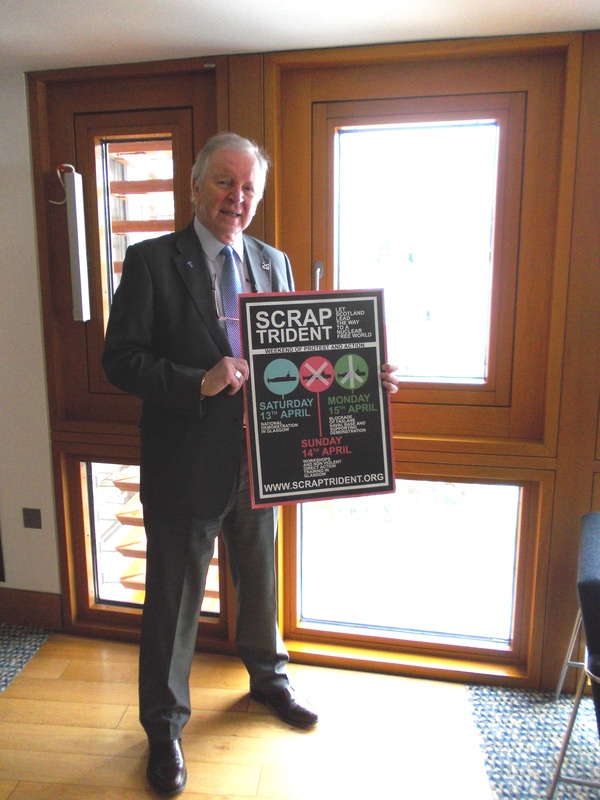 Dunfermline MSP Bill Walker has lent his support in the Scottish Parliament to the Scrap Trident campaign. The campaign – which operates under the slogan: “Let Scotland lead the way to a nuclear-free world” — calls for a weekend of protest and action in Glasgow and Faslane from 13th to 15th April. Mr Walker said: “Despite 80 per cent of Scots wanting rid of Trident and despite the Scottish Parliament voting overwhelmingly against Trident’s renewal, the London government continues to foist this unwanted obscenity upon Scottish shores. And now the Tories intend to renew Trident, meaning it will remain on the Clyde for at least another fifty years. However, experts have rubbished the Prime Minister’s statement of “fact”’, concluding that the idea of a North Korean nuclear weapon reaching the United States, let alone Europe, is “extremely unlikely”.